Why does my pet need to be admitted the night before a surgical procedure? In addition to the above, it gives your pet a chance to acclimate to the hospital environment to make the situation less stressful. Ensures food and water are withheld. What should I bring to my pet’s hospital stay? We take all anesthetic cases very seriously. We utilize the safest, multi-modal approach that is individually created for each dog or cat. It includes injectable medications for sedation and pain management as well as gas anesthetic agents. 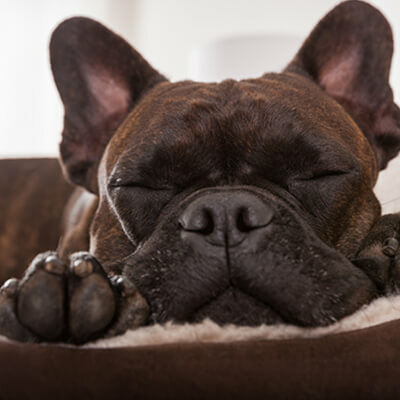 The combination of pre-anesthetic assessment of your pet (including blood work), use of modern anesthetic agents, and the latest anesthetic monitoring equipment means that anesthesia is generally considered to be a very low risk for your pet. We closely monitor your pet during the procedure and the recovery process using advanced monitoring equipment. Parameters often monitored include oxygen concentration in the bloodstream (pulse oximetry), electrocardiogram (EKG), core body temperature, respiratory rate, heart rate, blood pressure and carbon dioxide level. The monitoring findings allow us to perform safe anesthesia. My pet is older; is anesthesia safe? 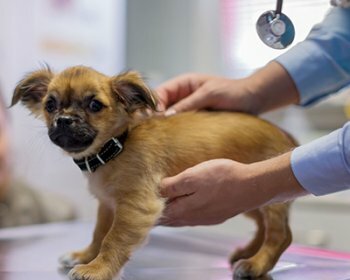 My pet has kidney and heart disease; is anesthesia safe? You will receive a call from one of our veterinary assistants when your pet is in recovery from the procedure. If there are any abnormalities on pre-anesthetic exam or blood work, you will receive a call prior to the procedure in case we need to change plans. You will be contacted immediately should the need arise. One of our surgical nurses will be available at discharge to discuss the procedure and discharge instructions with you in detail, as well as answer any questions. Pets undergoing outpatient procedures will be ready to go by 10 a.m. the day after surgery unless noted otherwise during the post-operative phone update. It can sometimes be difficult to tell. If you are not sure but suspect your dog or cat may be hurting, or is just not acting right, call us to have us examine your pet. Some signs of pain are more obvious, such as limping, but some signs are more subtle and can include one or more of the following: not eating, a change in behavior or normal habits, being more tired and having less energy. Of course, these symptoms can also be caused by many problems, so early observation and action is important. Bandage, cast or splint is wet, soiled or off: If the bandage becomes soiled, damp, chewed, please do not rebandage at home. Duct tape and other items can trap moisture within the cast or bandage causing inflammation of the skin and tissues. In some cases, bandages inappropriately applied at home can even cut off the circulation to a limb! Call us immediately if you have concerns about your pet’s bandage. Please also call us if you notice swelling of the exposed toes on the bandaged limb, which can be seen by spreading the toe nails apart. Confine your pet to a single room or similar small area until you can call us and we can advise you to whether the bandage needs to be replaced. After a cast or splint is first removed, it may take 1-2 weeks for your pet to become accustomed to using the leg without the splint. Constipation, bowel movements: Difficulty having bowel movements can be expected after illness, anesthesia, or surgery. It may take a few days for the gastrointestinal system to return to normal function. Fortunately, it is not vital for your pet to pass a stool on a regular daily basis. Please call if your pet has not passed a stool within 48 hours of discharge from the hospital or appears to be straining to defecate. Crying/whining: Although vocalizing can indicate discomfort, it can also be associated with other feelings following surgery. Often, pets vocalize due to the excitement or agitation that they feel on leaving the hospital and returning to their familiar home environment. 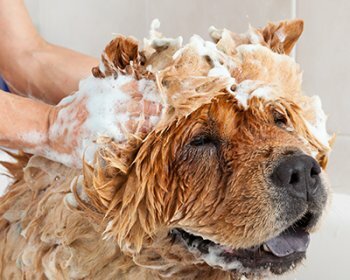 Some pets will also vocalize or whine as the last remaining sedative or anesthetic medications are removed from their systems, or in response to the prescribed pain medication. If crying or whining is mild and intermittent, you may simply monitor the situation. If vocalization persists, please call us for advice. In some cases, a sedative may be prescribed or pain medication may be adjusted. Diarrhea: Diarrhea may be seen after hospitalization. This can be caused by a change in diet but is more commonly caused by the stress of being away from home. Certain medications prescribed to your pet may also cause diarrhea. If the diarrhea is bloody, lasts longer than 12-24 hours or if your pet becomes lethargic or vomits, please contact us immediately. You can purchase a nutritionally complete bland food from us available in cans or kibble or we can guide you in preparing a home-cooked bland diet. We do NOT recommend using any over-the-counter medication to treat diarrhea. Please call us if there are any questions or problems. 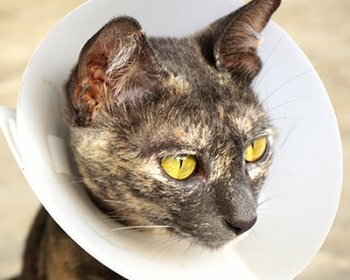 E-collar: We rely on you to keep the E-collar on your pet. While they may not enjoy it initially, they will enjoy even less having to come back to our office for a recheck visit to repair an incision that has been chewed open or treat an infection at the surgery site. They will need to wear the collar for an even longer period if this happens! 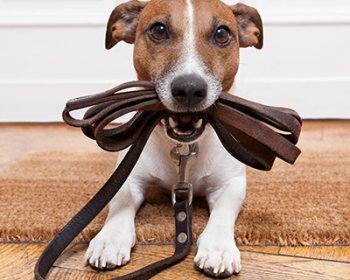 Most pets become accustomed to the collar within one or two days and they can eat, sleep, and drink with it on. Please be aware that when your pet is wearing the E-collar they should be closely monitored around stairs and swimming pools. We are counting on you: please keep the E-collar on your pet. Injury to surgical site: If for any reason you suspect that your pet has re-injured the surgical site, confine your pet and call us immediately for advice. Medication Refills: If you have given your pet all the pain medication prescribed and you feel your pet still has discomfort, please call and we will be happy to discuss refilling the pain medication. Pain: Despite the medications we have prescribed, some pets will still show signs of pain at home, such as restlessness or an inability to sleep, poor appetite, lameness or tenderness at the site of surgery. Please confine your pet to limit their activity. Then call us immediately so we can dispense or prescribe additional medication or therapies as necessary to keep your pet comfortable. Panting: This is commonly seen after surgery. It may indicate soreness but may also be due to anxiety or in reaction to the prescribed pain medication. Please call and we can help determine whether additional pain medication is advised or if the dose needs to be adjusted. We will be happy to recheck your pet for your peace of mind. Seroma (fluid pocket): In any healing surgical area, fluid produced during the healing process may accumulate and form a seroma (fluid pocket). Fortunately, this is not painful and does not impair the healing process. Eventually, the body will reabsorb the fluid so if the seroma is small, we typically will leave it alone. If it is large, we may remove the fluid with a needle and syringe or even place a drain. If you notice a seroma developing, please call. We may wish to recheck the area to ensure there is no infection. Shaking/trembling: This is a very common response to physiologic stress after surgery, injury, or any other health abnormality. The amount of shaking or trembling may be dramatic, but it does not always imply severe pain, cold, or distress. It may involve the entire body, or just the area of surgery. If there are signs of pain such as restlessness, lack of appetite, or crying out, or you are concerned about what your pet is exhibiting, please call. Urination: Some pets may urinate less after surgery or may seem to be unable to control urination. This is usually temporary and may be a side effect of medication, anesthesia drugs, or difficulty assuming “the position” to urinate. Please call if your pet has not produced urine for more than 12 hours. Many pets initially drink less after returning home, so expect less urination at first. Vomiting: An episode or two of vomiting is occasionally seen after surgery or anesthesia. If the vomiting continues, blood is noted in the vomitus, or if your pet is not holding down any food or water, call to schedule a recheck of your pet by a veterinarian.